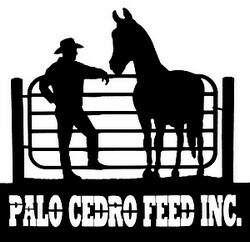 As a family owned business, Palo Cedro Feed takes care to make sure all of our customers are happy and have a positive purchasing experience. If you don’t see what you’re needing at our feed store, we encourage you to let us know. We can get in just about anything that you might want. With over 50 years in the feed, tack and fencing and water business, our goal is to carry the best product lines for our customers. Thank you to all of our customers! We appreciate all of you who shop local.